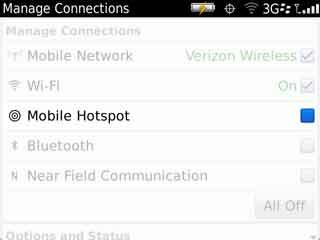 Mobile Hotspot requires minimum Device Software Version 7.1 installed on the device. 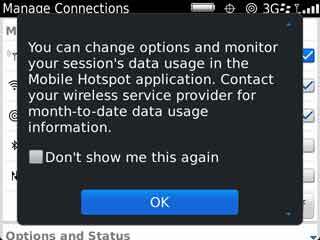 Wireless Mode and Wi-Fi must be enabled (ON) prior to activating Mobile Hotspot on the device. 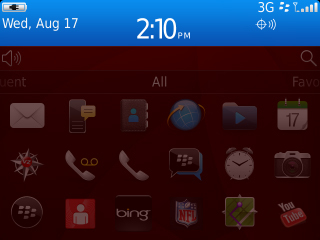 Refer to Wireless Mode and Wi-Fi On / Off for assistance. 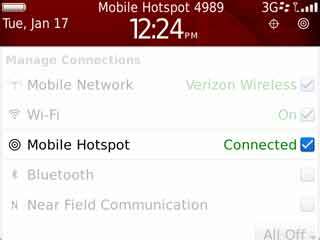 Mobile Hotspot is enabled when a green check mark and Connected indication is displayed.